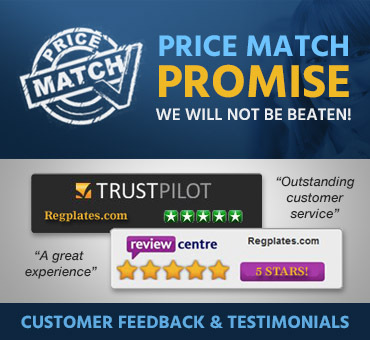 Regplates.com are one of the longest established dealers of personalised number plates starting back in 1991. We offer a personal and professional service making the purchase of your cherished number plate easy and hassle free. We specialise in personalised number plates. Reg Plates have over 25 years of experience buying and selling private registration plates and are a DVLA Recognised Reseller. Reg Plates are renowned for our superb customer service and as an established dealer, we offer value for money and a service that is second to none. Our customer feedback speaks for itself! If you are looking to buy or sell a private reg plate, use our online services, download our apps, or contact us directly for a fast, friendly and efficient service . Reg Plates take our work seriously and are always focused on getting the best deals for our customers. We can help if you are looking for a specific personalised registration plate, but we also have some creative search tools and a list of plates that match people’s names for you to browse if you are not sure exactly what you are looking for. Private number plates have a very wide appeal. Perhaps you want to make your car stand out from the crowd, add value to a cherished car with a cherished number plate, or give a unique gift to a friend or relative to mark a special occasion. Personal number plates can also be a very shrewd investment, with values often rising considerably over the years. Reg Plates also offer a registration transfer service, where we handle all the paperwork associated with buying a private number plate. We are well trained and very knowledgeable, so you can feel confident in our work. What’s more, this service is absolutely free when you buy from us. When you get a registration plate from Reg Plates, it will come matching all legal requirements. We understand the law and every plate we sell adheres to the relevant legislation. At Reg Plates, we can also buy your private registration plate from you if you are looking to sell. We know that personalised plates are often a good investment, so if it is time for you to sell one of yours, we would be very happy to talk to you about its value. We make the process incredibly easy so you don’t need to fill in any complicated forms. We do everything possible to simplify the purchase and make it an enjoyable experience. Reg Plates offers a professional brokerage service for all registration plate sales. You remain the owner of the number plate and we will advertise your private plate and secure a buyer for you. We can also offer loans against number plates. 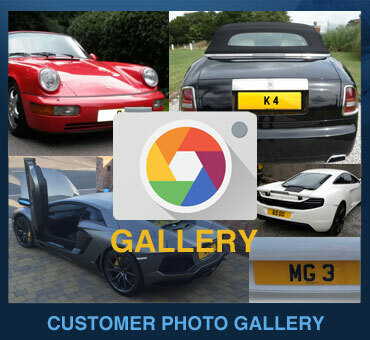 Reg Plates news pages keep you up to date with everything in the registration plate industry. Here are a couple of recent posts. We even have apps that our customers can download to deal with their registration plate purchases. We like to make the process as simple and straight forward as possible, so you can access our service in the way that suits you the best. One thing we are especially proud of is our reputation. Customers who buy private registration numbers from or sell to Reg Plates come back again and again, and we get great feedback. This is because we focus so carefully on providing excellent customer service and we ensure that we make buying or selling with us a rewarding and enjoyable experience. We have 45 million number plates available for sale! This demonstrates our dedication to getting you the private registration plate of your dreams. We can act as a broker if you want to sell your number plate, and we specialise in buying cherished number plates (the oldest and most valuable type) at auction, so that we can make them available to you.